Loto Master Inc. is one of world's leading Lockout/ Tagout equipment providers, with global delivery capabilities. 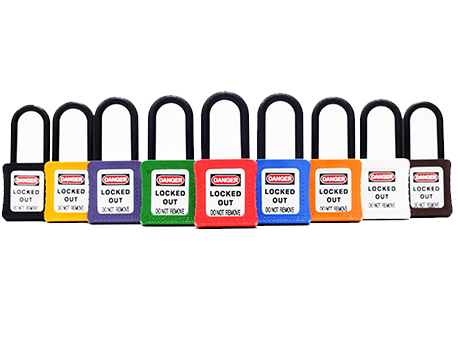 LOTOMASTER offers a complete range of Safety Lockout/Tagout products, to complement our full line of Safety Lockout Padlocks. Our wide range of Lockout/Tagout products include Cable Lockouts, Gate Valve Lockouts, Ball Valve Lockouts, Circuit Breaker Lockouts, Plug Covers, Lockout Stations, Group Lockouts and much more. Available individually or in modular lockout kits and stations, these Lockout/Tagout products are easy and effective in use. LOTOMASTER Lockout/Tagout products are designed to help you successfully develop and implement the best possible Lockout/Tagout system for your facility. The goal is for your facility to meet or surpass the safety norms of Lockout/Tagout requirements. While it's important to satisfy regulations, preventing accidents and protecting your employees is critical. You can rely on LOTOMASTER's Lockout and Tagout products to perform to the high standards. Products Desgined according to OSHA standard for The Control of Hazardous Energy (Lockout/Tagout), Title 29 CFR Part 1910.147.